I ran a trip on new years eve in the glacier bay. Fish everywhere just not as many yellowfin as the day before. I had Trey, Bubba, and Rob from gulfport, ms on the boat and none of them had ever even seen yellowfin. First fish in the boat was a blackfin and then the bonito and sharks showed up and I was freegaffing bonito for bait. This proved harder then it looks although I was successful a few times. 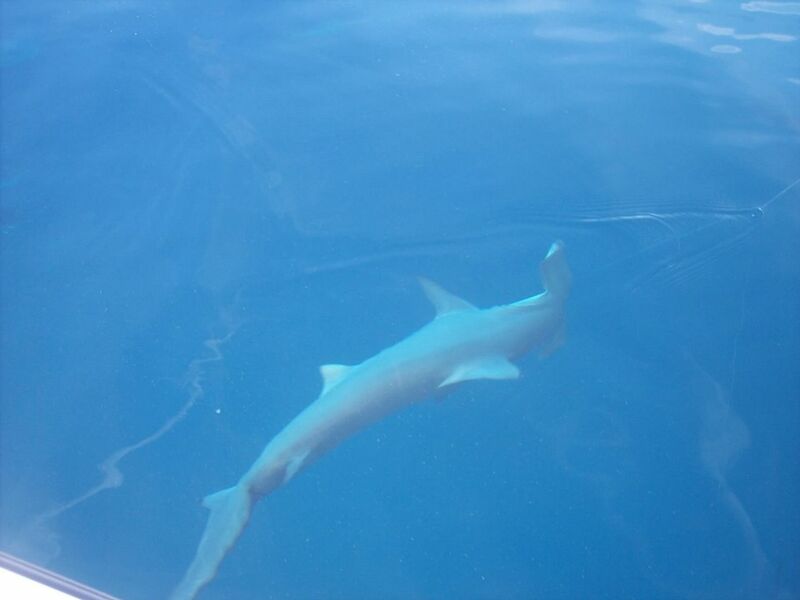 At one point we had 6 hammerheads circling the boat and one 150 pound yellowfin mixed in. We finally got the yellowfin hooked up and got off the ball to chase him. After about a half hour we just pulled the hooks on him. We got back on the ball and had a half dozen wahoo in the slick that would only touch baits on mono and that proved as sucessful as cleaning a tuna with a butterknife. I started drifting and got a small school of yellows to pop up. We had to drop down the leader size to hook them though and lost three more. 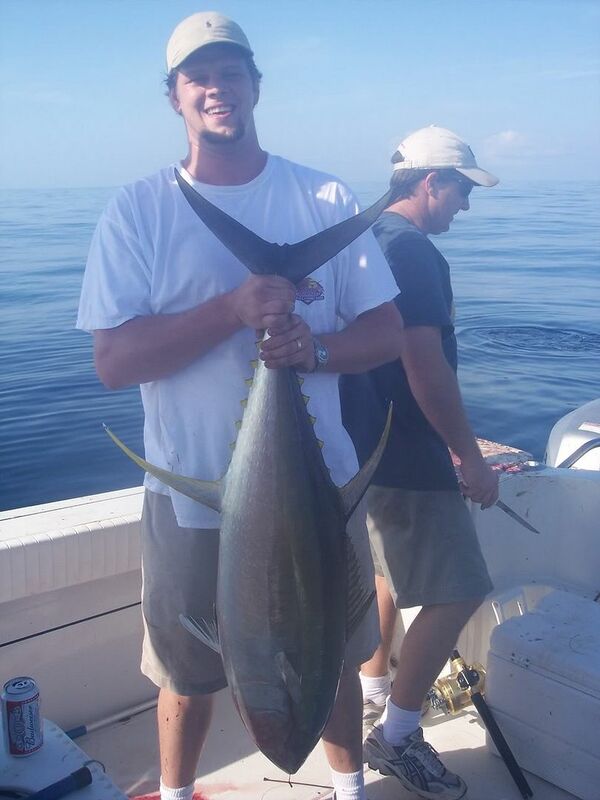 By this point we had three yellows to 50 pounds and about 8 blackfin. We went back to our anchor ball and had so many blackfin chummed up it was unbelievable. You know normally its hard to get a bait to the tuna because of the bonito, but it was actually hard to get a bait to the bonito because of the blackfin. We had one more shot at a 180 pound yellowfin which I handfed and listened to him take 300 yards of line across the surface and just break off. We ended up with twenty-two blackfin and three yellowfin.